Just a handful of companies around the world can create carbon fibre, each using their own secret recipe. The material combines high rigidity, tensile strength and chemical resistance with low weight, and is being increasingly used in all manner of engineering and manufacturing. Australia has been missing one key ingredient in carbon fibre production - a wet spinning line. But now, a CSIRO-designed wet spinning line has been launched in a ceremony at Waurn Ponds just outside Geelong. The patented CSIRO technology spins what engineers say could be the next generation of carbon fibre that is stronger and of a higher quality. Director of CSIRO Future Industries, Dr Anita Hill, said the development was an important milestone. “This facility means Australia can carry out research across the whole carbon fibre value chain: from molecules, to polymers, to fibre, to finished composite parts,” Dr Hill said. The fibres are then wound onto a spool to create a tape before being taken to massive carbonisation ovens to create the finished carbon fibre. 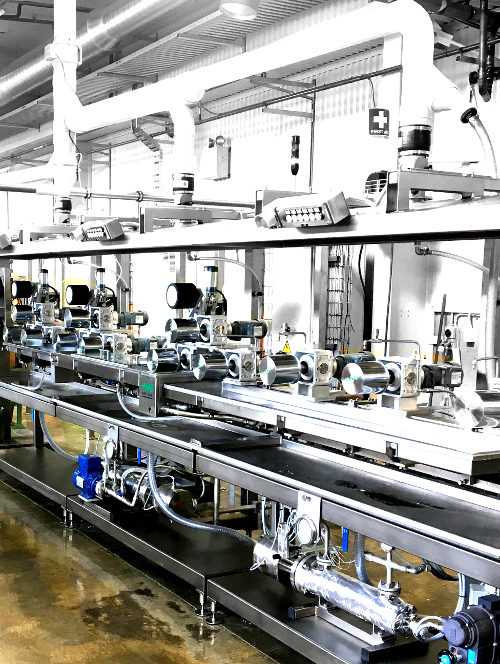 The CSIRO/Deakin University wet spinning line was custom built by an Italian company with input from the organisations’ own researchers. The company liked the design so much it made another for its own factory, describing the CSIRO/ Deakin machine as “the Ferrari of wet spinning lines”.